I collected an interesting selection of Armenian national and royal emblems throughout Armenian history. This is not a complete list but I thought interesting enough to be shared. 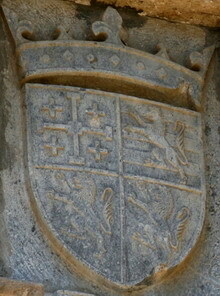 The Eagle and the Lion are the two most common themes on Armenian coats of arms from antiquity to the present. 230 BC. 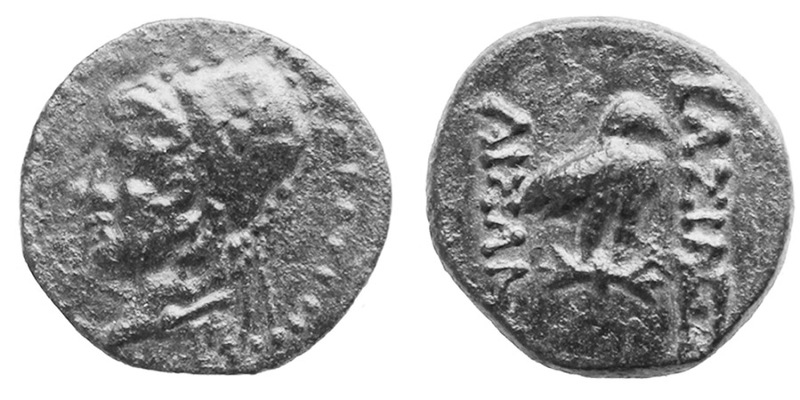 Coin of King Arsames II from the Armenian Kingdom Of Sophene. The reverse shows an eagle standing on thunderbolt. 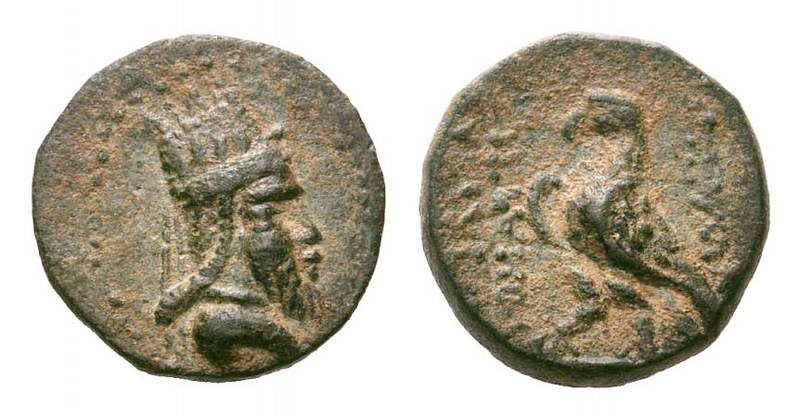 189 BC–12 AD: Coin of Tigranes the Great of Armenia showing the coat of arms of his dynasty; the ‘Artaxiad’ (Artashat) dynasty. Eight pointed star flanked by two eagles on both sides. 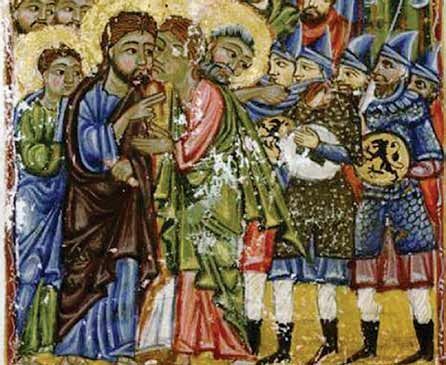 6 AD. -12 AD. 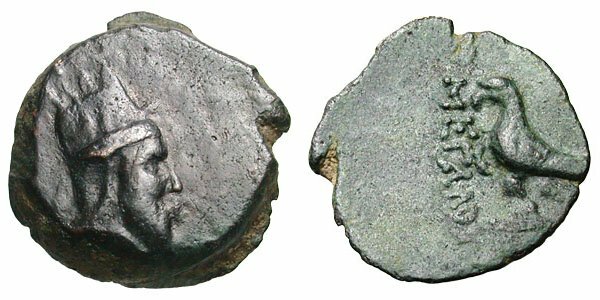 Draped bust of Tigranes V facing right with long pointed beard and wearing tiara. Eagle standing left. 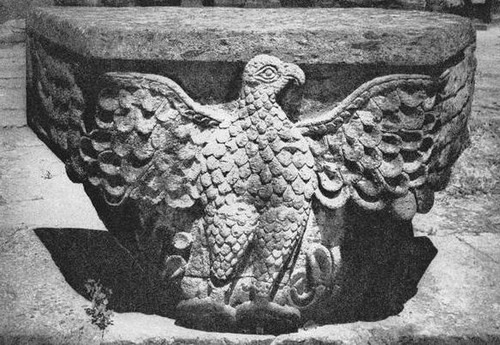 643 AD -652 AD: Royal eagle from the ruins of Zvartnots cathedral in Armenia. 861 AD–1118 AD: Lion on the gates of the medieval Armenian capitol city of Ani. 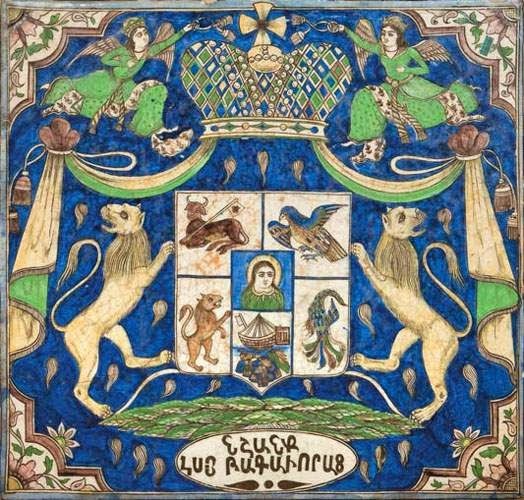 Depicting the coat of arms of the Armenian Bagratid (Bagratuni) dynasty. 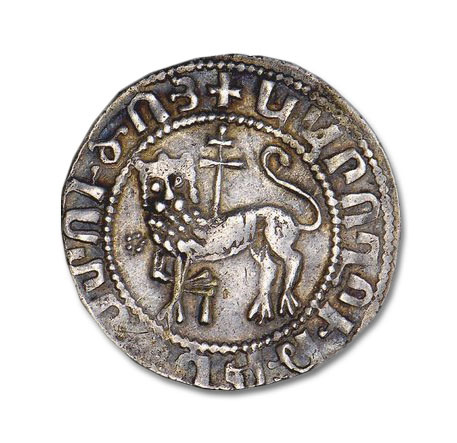 1000 AD–1260 AD: Coat of arms of the royal Armenian Rubenid Dynasty. 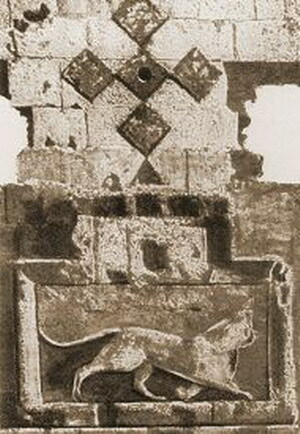 Depicting a lion holding the cross. 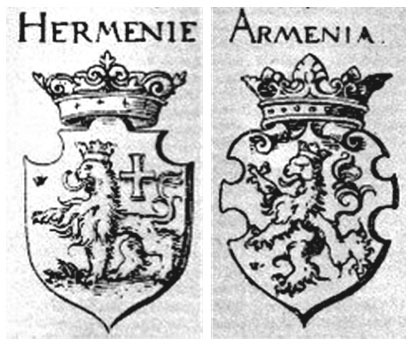 Coat of Arms of King of Armenia (left) and the King of Troy in Armenia (right). 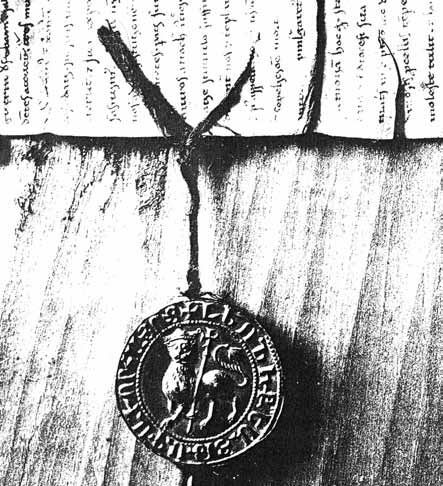 Note that the cross was transformed into a sword that pierces the lion. 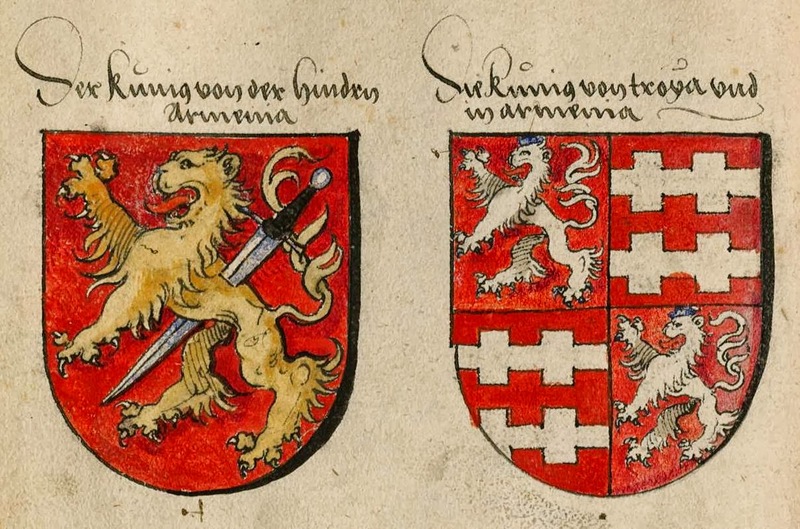 From Sammelband mehrerer wappenbücher (Augsburg – Bavaria – 1530). 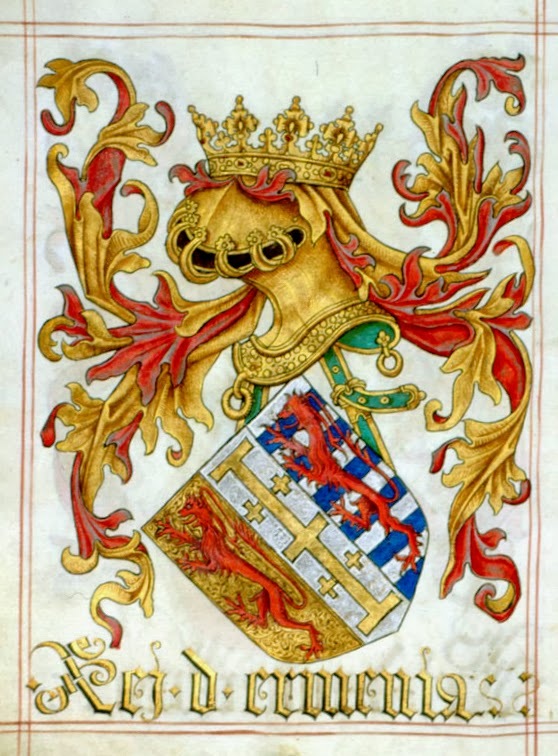 Coat of arms of the king of Lesser Armenia titled Rex hermenie in Richenthal, illustrated by the master Miltenberger. 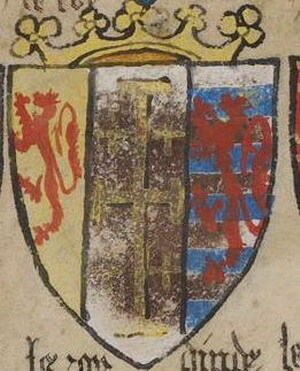 1341-1375: Coat of arms of the United kingdom of Armenia, Lusignan dynasty. Illustration by Le Breton. 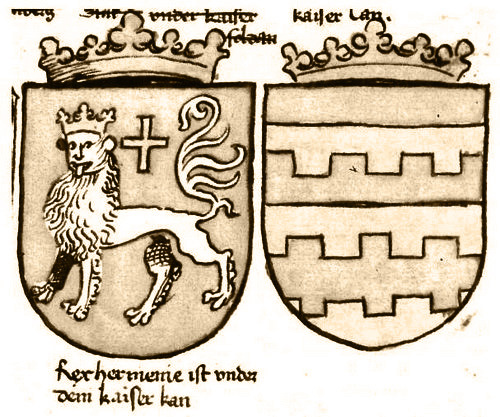 1432 — 1458: Coat of arms of House of Lusignan from the kingdom of Armenian Cilicia. From the Kolossi Castle in Cyprus. 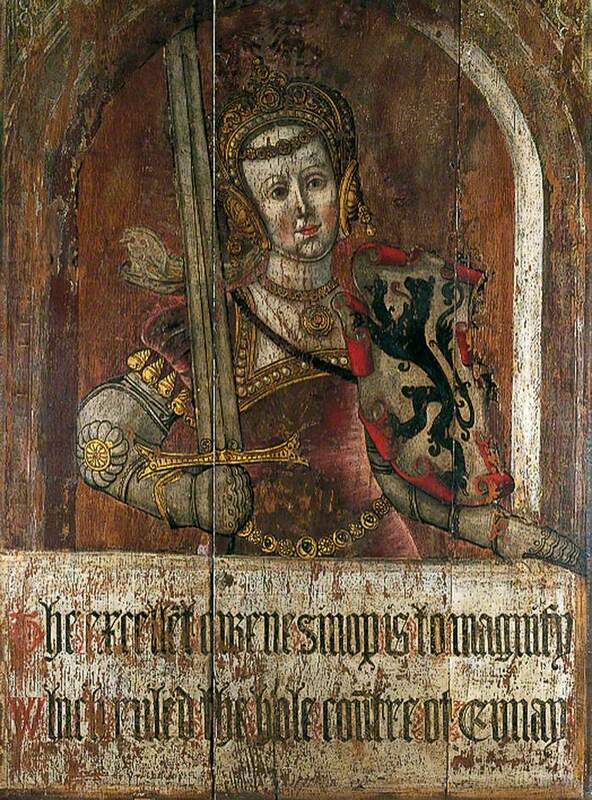 Sinope, Queen of Armenia. From the Amberley Panels, ‘Heroines of Antiquity’, Lambert Barnard c.1526 (oil & tempera on panel). One of eight surviving panels forming part of decorative scheme for Amberley Castle, former residence of the bishops of Chichester; commissioned by Robert Sherborne (c.1450-1536) Bishop of Chichester. 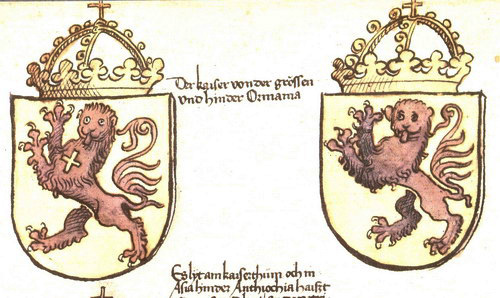 Coat of arms of the king of Greater Armenia, according to German sources illustrated at the beginning of the 16th century. 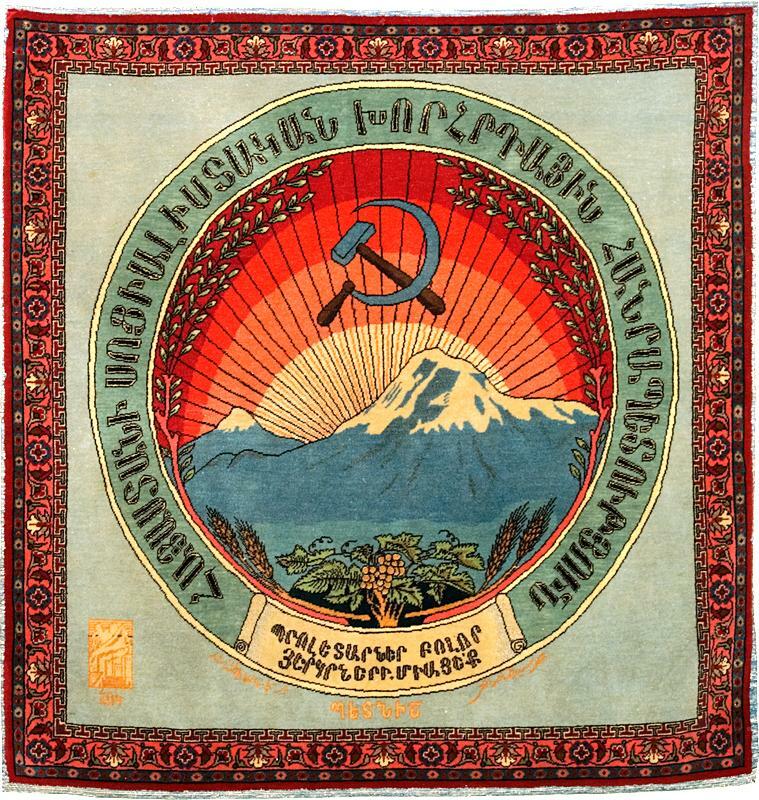 1920–1991: Coat of arms of the Armenian SSR on a traditional rug. 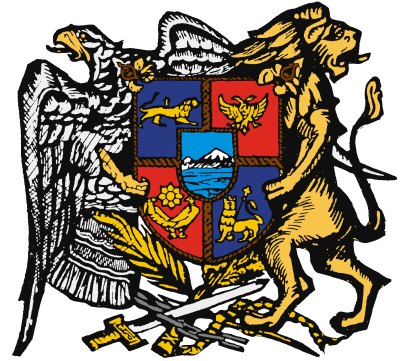 Current coat of arms of the Republic of Armenia. 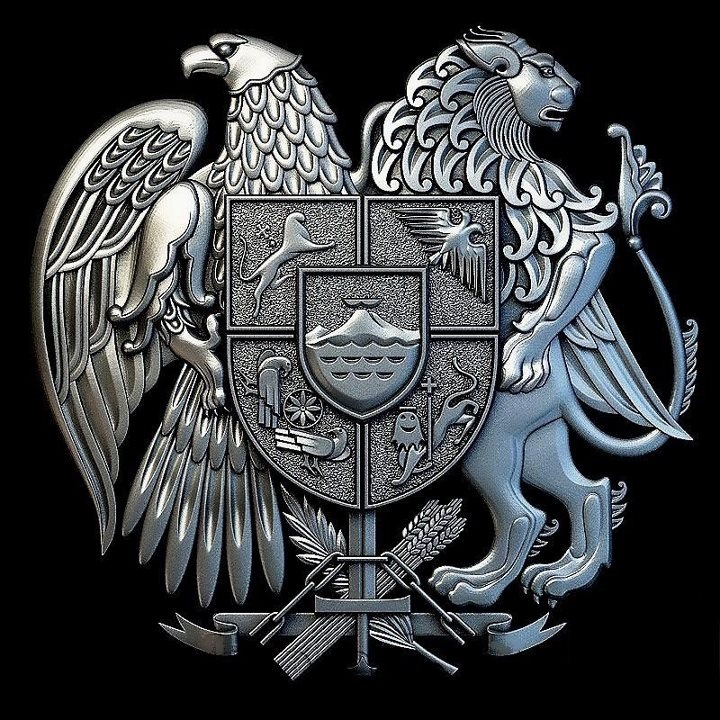 Notice the eagle and lion theme throughout the Armenian history up until the modern coat of arms. What’s with the tongues and the smiling lion :P? But seriously, why does the lion smile and stick out his tongue :P? Excelente, esto me servirá de mucho, la verdad que es bueno conseguir paginas como esta, ahora mismo iniciaré un trabajo del cual este tema me va como anillo al dedo. Anything on Dvin? It was an ancient capital, so I’m curious whether you’ve encountered any symbolism on it. des conseils pour déguster le café et des messages plus commerciaux. 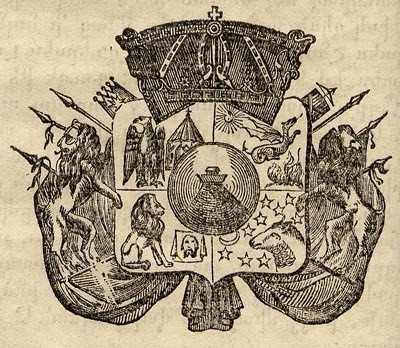 It could be the coat of arms of the short lived Democratic Republic of Armenia (1918-1920). Just before it was conquered by the Soviets and became part of the Soviet Union. Thank you for the response. The only difference between the 1918-20 that you show below, is that this piece does have Noah’s Ark. 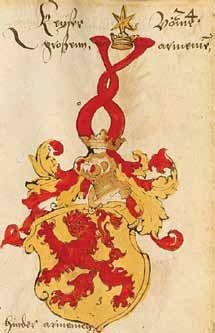 Was the ark on the 1918 coat of arms?